And that’s what The Side Hustle Path is about; finding a low-risk way make more money. If you’re looking for a get-rich-quick-scheme or the secret to overnight success, you won’t find it here. But what you will find are 10 down-to-earth entrepreneurs who were once sitting in your same position. They felt the same fears and uncertainties, but took action anyway. 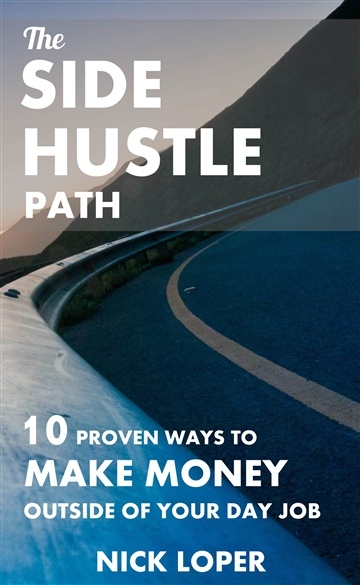 As the host of the top-rated Side Hustle Show podcast, Nick explores a different business idea each week and helps listeners discover the path to new job-free income streams.If there's a common theme to Nick's books, it's helping readers get more done so they can live happier and healthier lives. Nick lives in Northern California with his wife Bryn and a lovable giant Shih-Tzu called Mochi. On a typical day you can find him working and walking on his treadmill desk, rooting for the Mariners, or skiing the Sierra pow.